I have wanted to do a walk along the edge of Dovedale using the CROW access rights for a while now. So yesterday I jumped in the van and drove to Thorpe in the Peak District, less than an hour away from Nottingham. I then caught a bus to Hartington with a rough plan of walking south back to Thorpe, sticking to the eastern edges of Biggin and Dove Dale. I left Hartington by the path that starts by the public loos and cut across to Reynards lane which soon turned into a track descending into Biggin Dale. There were a few groups of walkers out so it was with relief that I headed straight up the steep pathless hillside on the other side of the dale. The plan was to stick roughly to the edge of open country just below the line of the field boundaries. I headed south without any paths to follow with great views to my right down into Biggin Dale. There was nothing barring my way until I came to a barbed wire fence near Dove Top farm. There was no gate or stile to be seen, and as I was still within access land I gingerly climbed over without tearing any skin or clothing. Some scrabbling through undergrowth and almost vertical hillside brought me to the top of the tor near the farm. Wow what a view down onto the river dove to where it splits at Wolfscote and Biggin Dales. The next section was lovely as I picked a sheep trod along the edge of the dale past stands of Scotts Pines until I entered a beech wood full of badger sets. I turned east above Coldeaton bridge and followed the unnamed dale edge until it became less steep and I could clamber to the bottom. I ascended a path on the other side which quickly brought me to the Tissington trail for a quick stomp before I took another path leading to Shining Tor. For a while I had a clear path to follow as I contoured the hillside. This soon descended to Milldale so I struck across open country to ascend Bailey hill, the highest point of the day. A strong wind kept me moving south through a landscape of strange hummocks then a very steep descent to the footpath near Hanson Grange. This was immediately left to ascend the dale edge on the other side of this tributary valley where I had a long lie down in the grass with stunning views below me. I soon picked up a well defined if little used concessionary path that lead me along the final stretch of Dove dale where Thorpe Cloud put in an appearance, dominating the view ahead. I passed Moor barn before a steep descend and re assent brought me to Thorpe pasture. It was then a simple walk back to the van. A great day out with stunning views down into the dales below me. When walking along the dale edges I did not pass a soul but could see the crowds walking along the dale bottom. Next time I will try the western edges! Events transpired against us with a last minute emergency meaning we were unable to set off for the North Pennines on Friday evening. Plans were hastily changed and we decided to head to the Peak District on Saturday morning. We parked up at a very icy car park just south of Fairholmes visitor centre and headed to the eastern side of Ladybower reservoir. It was pretty quiet out today, Saturday seems to be the day to head to the peak, Sundays always seem to be really busy. We were soon heading uphill towards the Derwent moors on a slippery path of compacted snow. Just before High House farm there is a nice little shelter decorated by local school kids where we took a welcome breather. After comparing the relative merits of Waitrose and Tesco’s hummus we continued up the bridleway and ascended to the Wheel stones. A great rocky outcrop that gave a good half hour of exploratory scrambling. We were soon heading north passing the Salt cellar, Dovestone tor and Cakes of bread to get to Back tor the highest point of the walk at 538m. During this time the weather started to close in with the western sky beginning to darken. Slowly but surely the hills to the west began to disappear into the mist. Almost as soon as we reached Back tor the mist had enveloped us and a fine drizzle began to fall. Rather than head to Lost lad we decided to test our navigational skills and head north into the wilds along Cartledge stones ridge. We no longer had a clear path to follow, just two pairs of boot prints leading into the misty whiteness. The snow seemed to get deeper and we began sinking down to our knees every other step as the surface crust gave way. We soon hung a left and began to descend towards Bents clough, the snow becoming even softer until we were floundering through snow covered bog. All of a sudden we came to what felt like the edge of the world as Abbey brook opened out before us. A steep run down through the snow brought us to the footpath that runs along the bottom of the valley. By now our leg muscles were beginning to ache from walking through the snow. The last couple of miles along the reservoir seemed to last forever. To camp or not to camp……..
….that is the question that I have been asking myself all week. Off to the North Pennines after work tomorrow. Had originally planned a backpacking weekend with a wild camp. But after looking at the local webcams and the snow today I have had second thoughts! There appears to be tons of snow up there which may well start melting this weekend. I think that I may yet again go for the bothy option, so have loaded my rucksack with coal. Now which bothy to go for?…………………………………. One more week and I get to sleep in a tent for the first time this year – planning a weekend backpack in the North Pennines. Cant wait, will be interesting to see how hardy (or not) I am! Have not wild camped since last October. In the meantime I thought I would write up a backpacking trip I did last summer with Corrina. 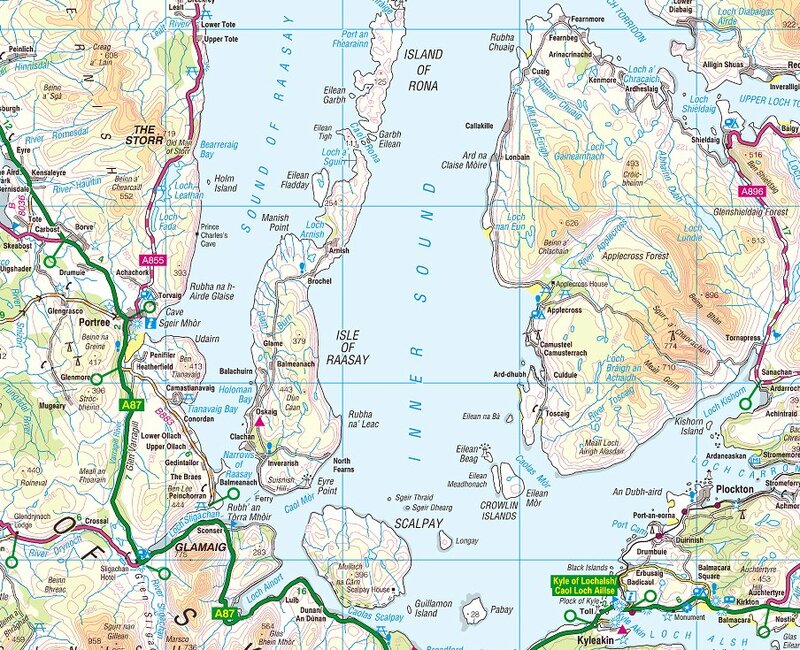 I have always wanted to visit Raasay, a long narrow Island located between Skye and Applecross on the mainland. A two week holiday in the highlands with Corrina gave me the perfect opportunity. We had agreed that if we stay in nice campsites with showers and stuff for most of the trip, then she would come on a two day backpack with me. We set off from Applecross over the Bealach na ba, probably the best road I have ever driven. The weather was amazing with views over to Skye from the summit of the road at 626m. I managed a quick bag of the Corbett Sgurr a Chaorachain, which is well worth doing as the views are to die for. We drove down and spent the night in Plockton which we wanted to visit as it is was the setting for Hamish Macbeth. Really did not like the place, all full of art galleries and expensive cars. Left the next morning in appalling weather to drive over the Skye bridge. Skye looked pretty bleak and uninviting in the low cloud and rain from the A87, no mountains on view today! We got to sconser only to discover we had a 4 hour wait as it was a Sunday – off to the Sligachan hotel bar then! It appeared that the whole campsite across the way was sitting dripping in the bar, reading and looking glum. Late afternoon and we were boarding the ferry with 2 other vehicles for the short crossing to Suisnish. It felt like we were heading off into the unknown as we drove off the ferry. Through the village of Inverarish then climbing up on the single track road past the youth hostel. The road surface soon turned pretty rough as it climbed over the 200m mark, with the wind battering us from the west. The views across to skye was awesome with the whole of the east coast in view. We searched for ages for somewhere to park up for the night, but places were lacking that were not directly in the full force of the wind. We eventually found a spot that was relatively sheltered but decided not to put the roof up as some gusts were pretty ferocious. Did not want to loose the roof out here! Not that keen on parking up next to a road but we only had one vehicle pass us in the 12 hours we were there! The morning dawned bright, warm and sunny so we continued heading to the north of the Island. The last two miles of road are known as Callums Road after the local man who built it by hand. What a road it is! It is only just the width of the van and it twists and turns above cliffs with unprotected drops down into the sea. We did safely reach the end of the road at Arnish so shouldered our rucksacks and headed into the wild. 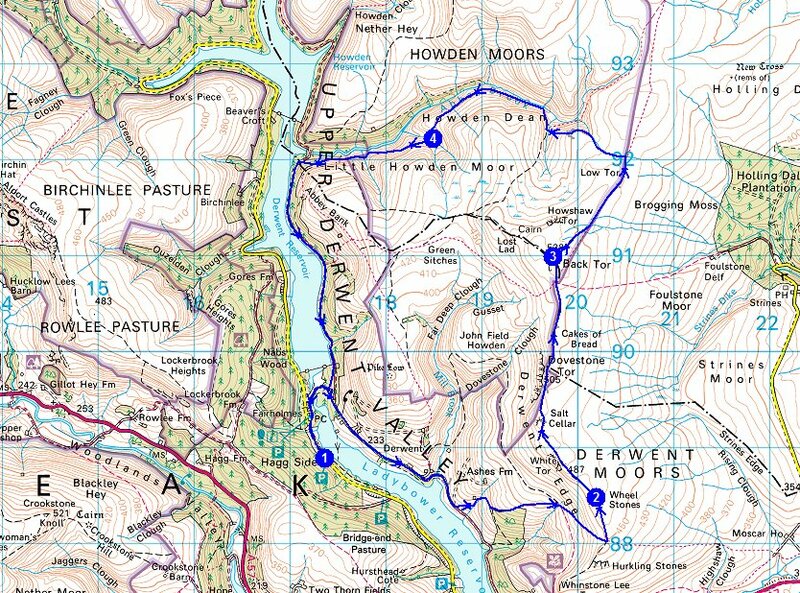 The next few miles were probably one of the best low level walks I have done. The path was constantly twisting in and around rocky outcrops with stunning views at every step. After a few hours of gentle walking and lots of sitting down and taking in the views, we finally arrived at Taig Thormoid Dhuibh bothy which is maintained by the MBA (Mountain bothies association). The location of which was even better than we had imagined with 180 degree views to the sea. It has one open plan room with a fireplace at one end and a sleeping platform at the other. The major drawback is the lack of any firewood in the area. Determined to have at least a small fire in the evening, I left Corrina at the bothy for a couple of hours as I set off on a scavenge along the rocky shore. There was only the odd bit of driftwood to be found so if you are planning to come here in the colder months make sure you carry in some fuel. We spent the evening sitting outside the bothy watching the sun set over Skye. Even at midnight the sky was still tinged with pink and night was a bright twighlight. The next morning was spent lazing around the bothy before heading back the way we had come to the van. The weather broke just as we got back to the road head. Wind and rain with a curtain of mist hiding Skye.